Governor Inslee has signed into law a bill restricting the use of cell site simulator devices (popularly known as “Stingrays,” after a particular model). Stingrays are emblematic of the threats to privacy posed by new technologies and expanding government surveillance activities. The new law makes Washington state a leader in regulating Stingrays and includes judicial education and data retention provisions that are the first of their kind in the nation. 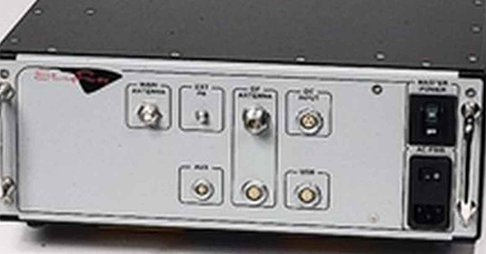 Cell site simulators are surveillance devices that typically mimic the cell phone towers that your phone connects to. They trick cell phones within their range into thinking they are a legitimate cell phone tower and force phones to connect by masquerading as the strongest nearby cell signal. This enables the user of the cell site simulator to identify phones in the area, the location of their possessors, and in some cases to intercept metadata and/or actual content of cell phone transmissions (including data, calls, or text messages). Even if law enforcement is targeting a particular phone or person, it will incidentally collect sensitive information from all other phones in the area that connect to it. In some cases, this may also prevent nearby bystanders from making calls. So, the use of this technology compromises the privacy and safety of large numbers of ordinary people. In Washington, the Tacoma Police Department acquired a Stingray using federal grant money. Local judges who approved use of Stingrays had no idea they were authorizing such an invasive technology and did not understand how Stingrays work. This has been true throughout the country, as local police departments and the FBI have engaged in a campaign to conceal the use of cell site simulators from judges and from the public. These devices epitomize the continuing militarization of local law enforcement and should not be free from judicial and public scrutiny. Washington’s new law requires that a judge find that there is probable cause that use of a Stingray will lead to evidence of criminal activity. To ensure that judges make informed decisions about authorizing their use, the measure requires law enforcement to provide judges with specific details about cell site simulators and how they will be used in a given case. This law also places limitations on retention of data by requiring that any incidental information collected from bystanders not be used and be deleted promptly. Adoption of the law is a vital step in the quest to rein in the surveillance state. Notably, our legislature passed this bill with unanimous votes in both houses. We hope that other states will soon follow suit.